Hi, friends! 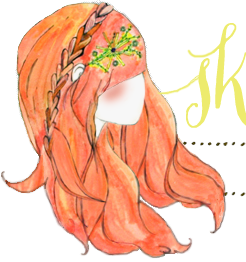 I'm happy to finally be able to share that I have been working on some new hair tutorials for the new Etsy Weddings page! It was a lot of fun and I'm happy to be a little part of it! If you are interested, you can view them here and here. Have a lovely Monday!! Perfect! I'm in two wedding this fall and they both are encouraging "do your own hair"... Which I'm awful at. I hope I'll be inspired! you have gorgeous hair! can't wait to try them. Gorgeous - you have such amazing hair. I so much love your hair colour. It looks so good against that cream white of your dress and the curtain. They're so pretty! I can't wait till my hair gets longer. I"m sure you did an amazing job. And you look just stunning. Oh I'm excited for this! sooo pretty. you have the best hair ever. you have THE PERFECT hair for tutorials. these were beautifully executed! That's fantastic! I will check it out. You've amazing hair. Love these photos. A fun blog; I especially liked her 12 goals list. I love that top photo! You make it look so simple. I have to try it! The pin curl style is GREAT! I just tried it tonight and it was super easy and looked really good (I received many compliments on it). It's a great style that lets me wear my long, heavy hair up without getting headaches from wearing it up! Love your hair tutorials!